i just remembered that i bought a couple of nanoloop 2.7 carts back in september, so i thought i'd actually make some use out of them. just a bunch of random techno patterns thrown together in about 2 hours. recorded directly out of a Game Boy Advance SP, no postprocessing or other effects. great chords halfway through. only suggestion I can give is maybe give the kick a bit more punch by turning the other sounds down a bit.. but that might be a personal taste thing. other than that, you're already using a few tricks it took me a while to figure out haha (like multi layered snares).. that said I went straight into nanoloop without having much gameboy chiptune experience. yeah this is super great for a first nanoloop track! sounds like my nanodisco stuff lol great chords halfway through. only suggestion I can give is maybe give the kick a bit more punch by turning the other sounds down a bit.. but that might be a personal taste thing. 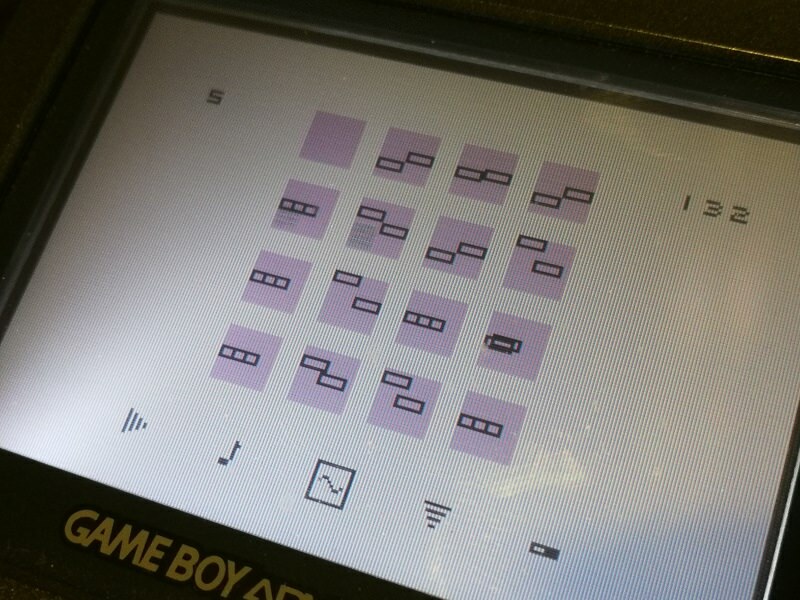 other than that, you're already using a few tricks it took me a while to figure out haha (like multi layered snares).. that said I went straight into nanoloop without having much gameboy chiptune experience. duuude this is fantastic!! such a fun groove! This is awesome! The way that kicked in the middle kicked up and got groovin was awesome! Yeah, middle part is awesome. Nice! Sounding great! It's got a classic vibe to it, nice one. Digging the chords. Cool sounds, especially for a few hours work! Sorta reminds me of Psilodumputer stuff, in a really good way. I tried Nanoloop 11 years ago and hated it, but this makes me want to try again haha. Good stuff. Hot damn. Detroit AF. Fantastic work here for a first go. I think if I ever tried nano again, it'd have to be 2.x; I couldn't make 1.x do anything worthwhile that wouldn't be easier to do with lsdj. Also, I started writing this before it got to the actually tonal bit and whew, I'll take a whole album of this, please. Hot damn. Detroit AF. Fantastic work here for a first go. I think if I ever tried nano again, it'd have to be 2.x; I couldn't make 1.x do anything worthwhile that wouldn't be easier to do with lsdj. Also, I started writing this before it got to the actually tonal bit and whew, I'll take a whole album of this, please.